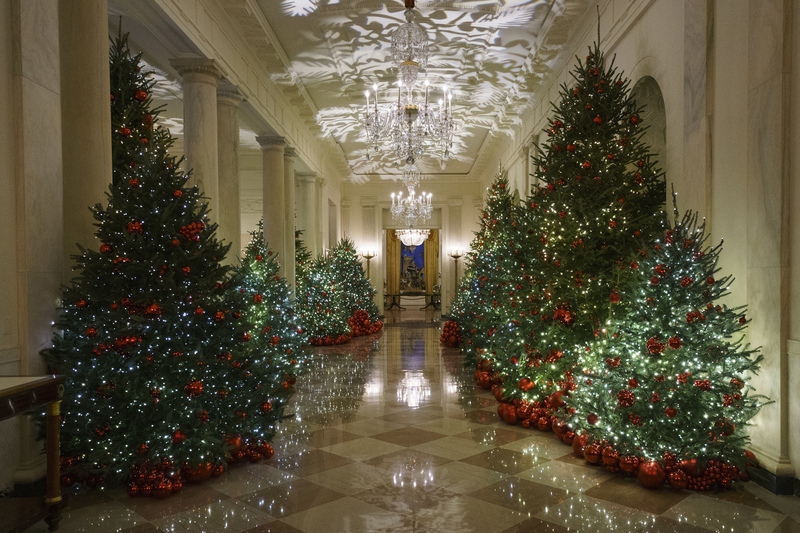 Melania Trump, the United States First lady, has now unveiled the 2018 White House Christmas Decorations with a patriotic theme "American Treasures" recognizing America's "unique heritage". 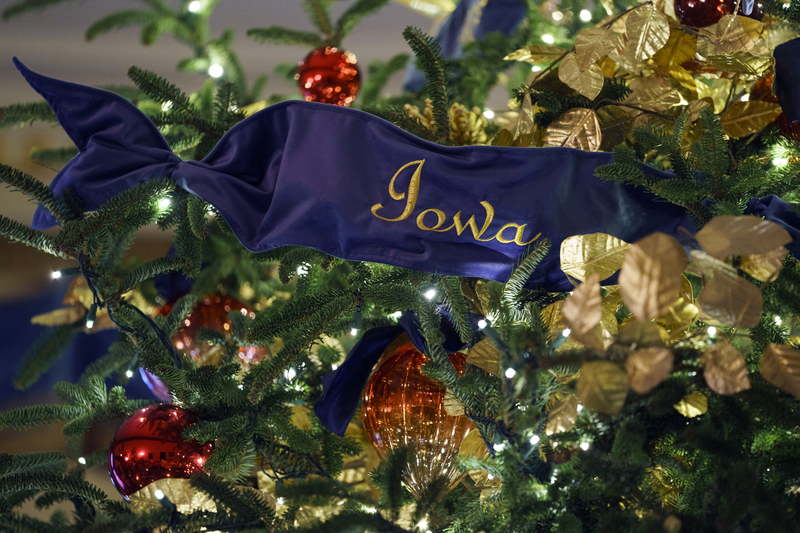 Other decorations include a Green Room tribute to America's harvest and a Red Room festooned with wreaths created from pencils touting Be Best, Melania Trump's child-empowerment campaign. The first lady's office described the red motif: "The choice of red is an extension of the pales, or stripes found in the presidential seal designed by our Founding Fathers". Also on display are the customary gingerbread house and the traditional White House tree, which stands at 18 feet (5.5 meters) tall. "It's a symbol of valor and bravery". The East Room features the cityscapes of New York City, St. Louis, Chicago, and San Francisco to highlight "the diversity and ingenuity of American architecture". Since at least Nancy Reagan's time, the first lady has appeared at the press event for the decorations' unveiling. "In the East Wing, the Gold Star Family tree returns", the White House statement says. Although she didn't speak to reporters, she wandered through the decorated rooms interacting with schoolchildren and was available for photo ops.